These stylish necklaces are not only beautiful to wear but safe for babies to chew on. 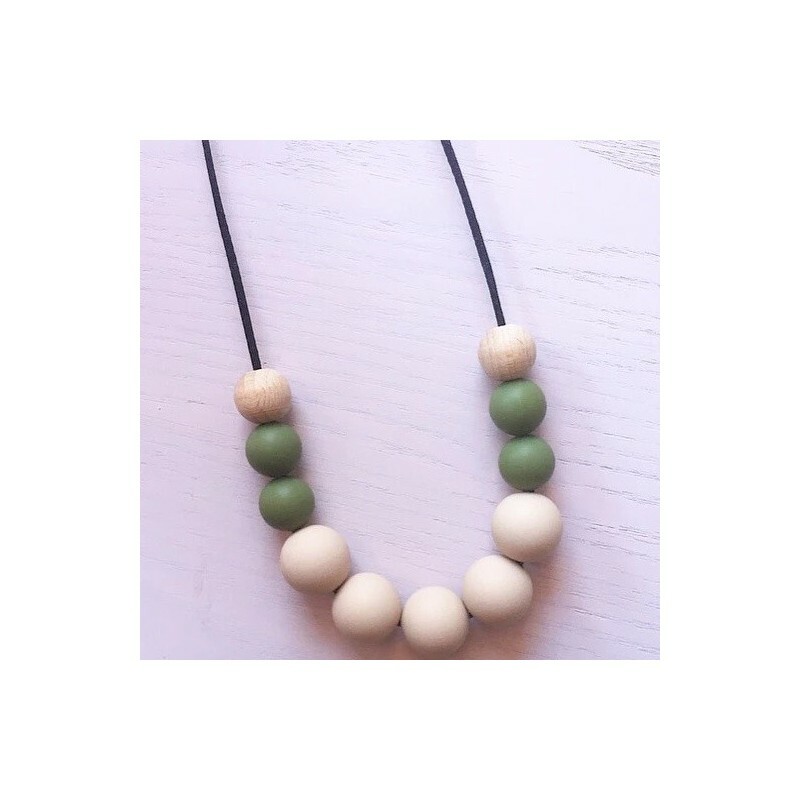 Tiny Teethers jewllery are hand made in Australia using BPA free silicone and natural, untreaed wooden beads. Nylon cord is 85cm long. Olive design. 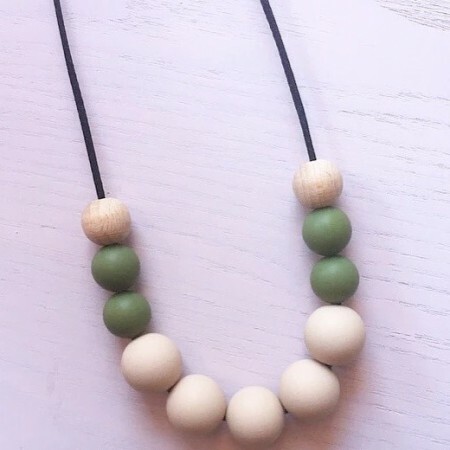 Attractive looking teething necklace and my bub absolutely loves chewing on them (all materials are safe!!). Easy to clean too.